While many gaming news outlets have been quick to replicate news stories about Russia 'banning' Call of Duty: Modern Warfare 2, it looks like reports of the game being banned have been, to coin a phrase, 'greatly exaggerated'. Activision has been quick to issue a statement to say that reports of the Russian government banning the game are 'erroneous'. The statement was released in response to hundreds of online reports that the Russian government recalled the game from retailers and banned any future sales, following the emergence of a controversial terrorist level in the game based at a Russian airport. Activision released the following official statement that simply said: "Reports that Call of Duty: Modern Warfare 2 has been banned in Russia are erroneous. 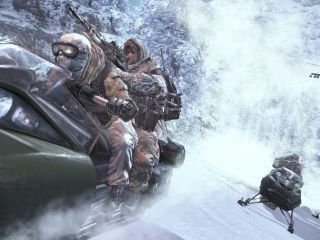 Activision only released a PC version of the game in Russia which went on sale on Tuesday, Nov. 10." Gaming-hating MP Keith Vaz, the Home Affairs Select Committee chairman has also been quick (as ever) to condemn Activision's game for its "scenes of brutality". Meanwhile, the worldwide gaming community shrugs its shoulders and Activision continues to count its pennies. Modern Warfare 2 has already sold over 4 million copies worldwide.